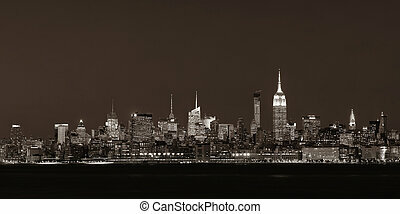 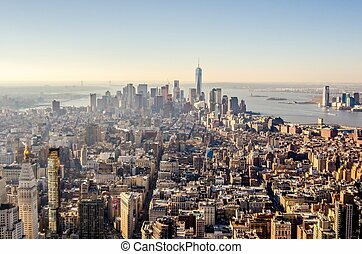 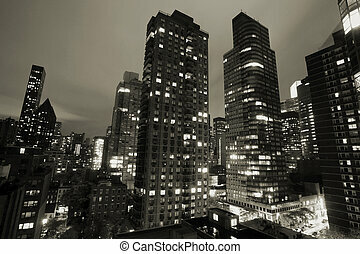 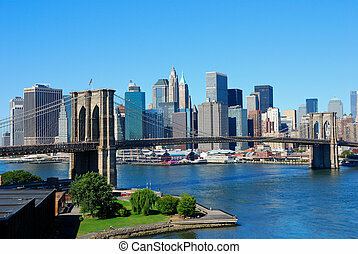 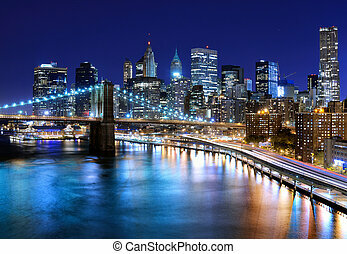 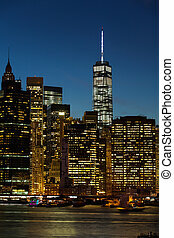 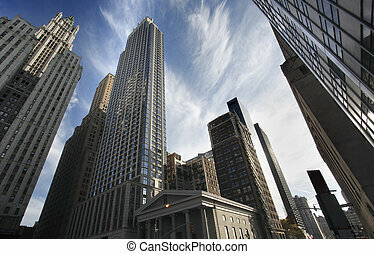 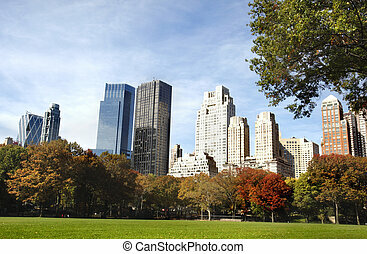 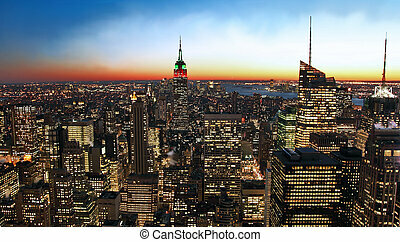 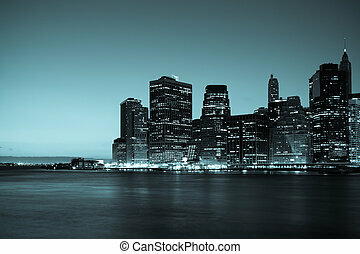 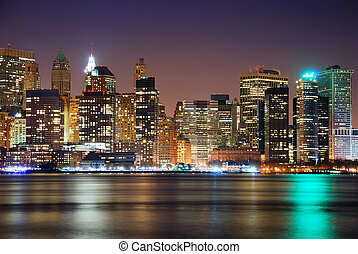 New York City Manhattan skyline at night panorama with urban skyscrapers. 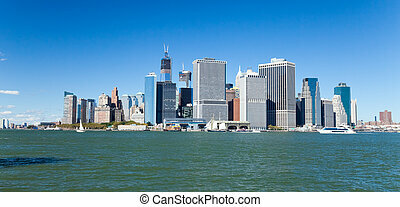 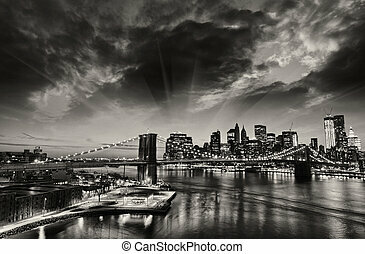 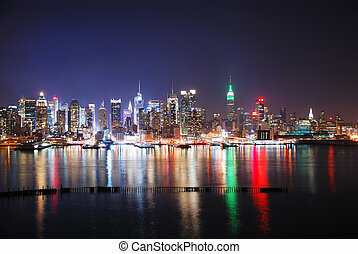 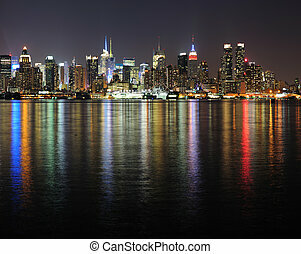 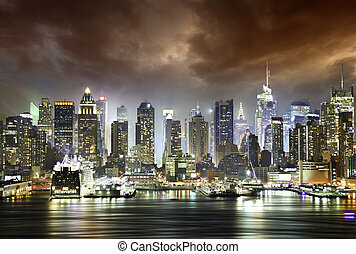 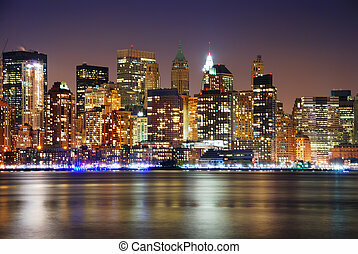 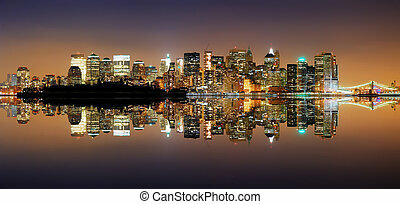 New York City Manhattan midtown skyline panorama at night with lights reflection over Hudson River. 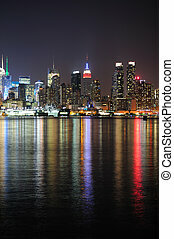 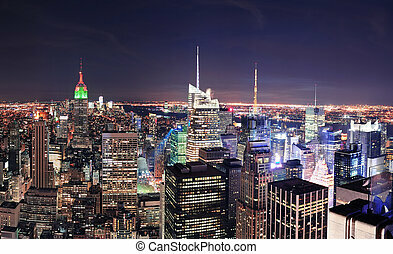 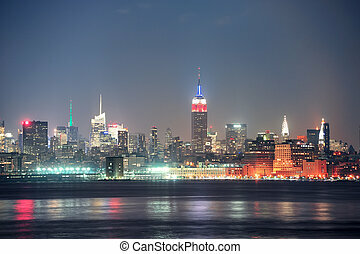 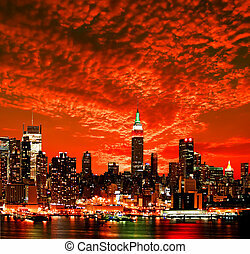 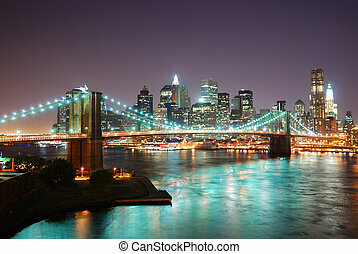 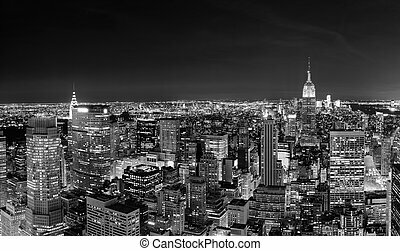 New York City Skyline at night with Times Square and Empire State Building with colorful reflections.